The snow has finally melted, but are you ready to embrace your favorite short shorts? 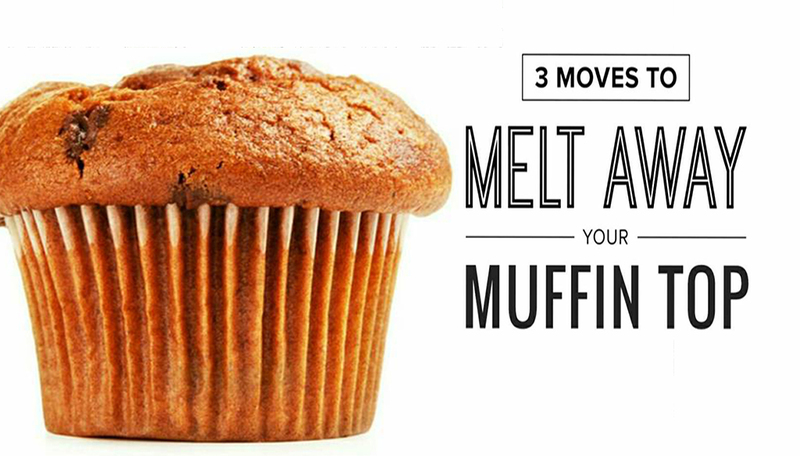 If a newfound muffin top is making you wary of ditching your cozy Winter layers, rest assured, there are plenty of ways to whittle away those extra pounds without hitting the gym seven days a week. To reverse the damage you did this Winter, try asking a doctor or nutritionist how many calories you should be eating for your age, height, and ideal body weight. “Cardio helps, but food is 85 percent of the results we see,” Once your diet is back on track, add these three waist-whittling moves to your regular workout once a week. ⚪Stand with your feet hip-distance apart, arms at your sides. 🔵As you reach down towards your toes with one arm, lift the other one up towards your waist, placing your hand on your hip. ⚫Alternate sides with one arm up, one arm down. ⚪Place your hands behind your head, elbows out wide and knees slightly bent. 🔵Isolate your core making sure your hips don’t move. ⚫Twist to one side then the other alternating sides. ⚪Lay on the floor or a bench with your legs straight out, arms stretched above your head, toes pointed towards the ceiling. 🔵Raise your arms towards your toes as you raise your legs to a 45- to 90-degree angle, keeping your shoulders off the floor (above). You should bring your arms way up over your belly button so your body looks just like a jack knife. ⚫Then return back to the floor or bench with your legs and arms stretched out. Tag your friends for more awesome healthy tips like this.